Here are some samples of our brushed aluminum finish applied on a set of VMR V710. Typically the top part of the face is brushed while the windows are polished for contrast and to avoid cross-directional brush strokes. 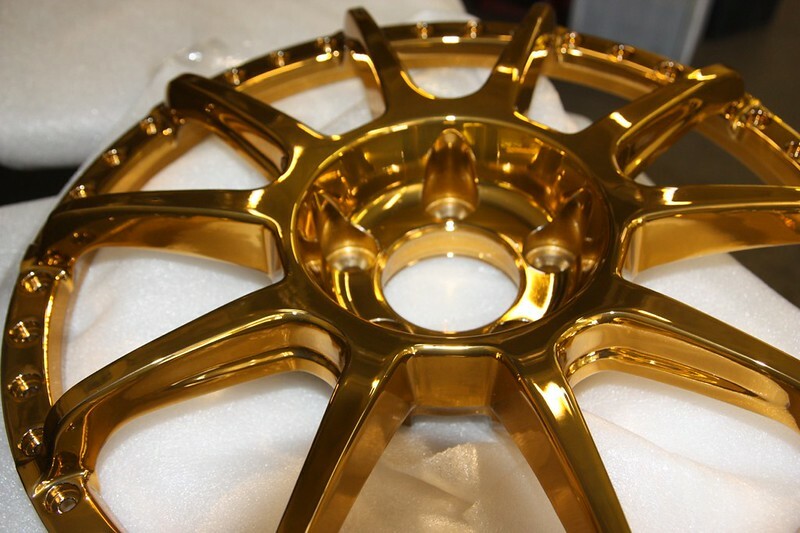 A clearcoat is applied afterwards to create a glossy shine and protect the finish underneath. 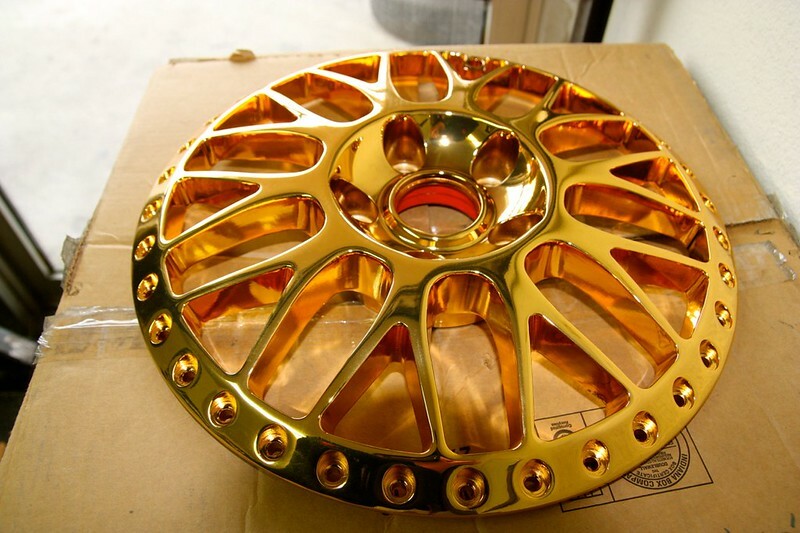 This finish actually looks a lot brighter and vibrant under the sun. 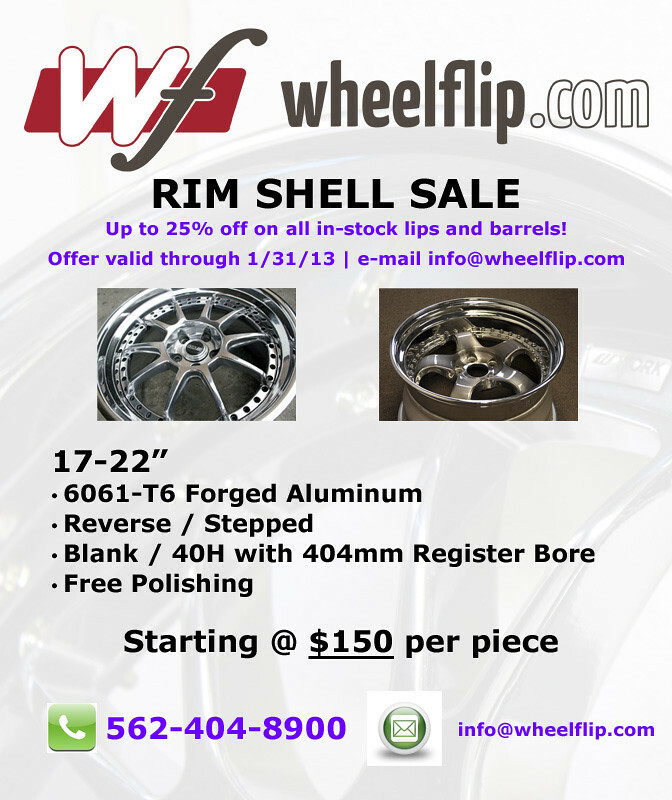 We are having a huge sale good through January 31, 2013 on all in-stock lips and barrels. 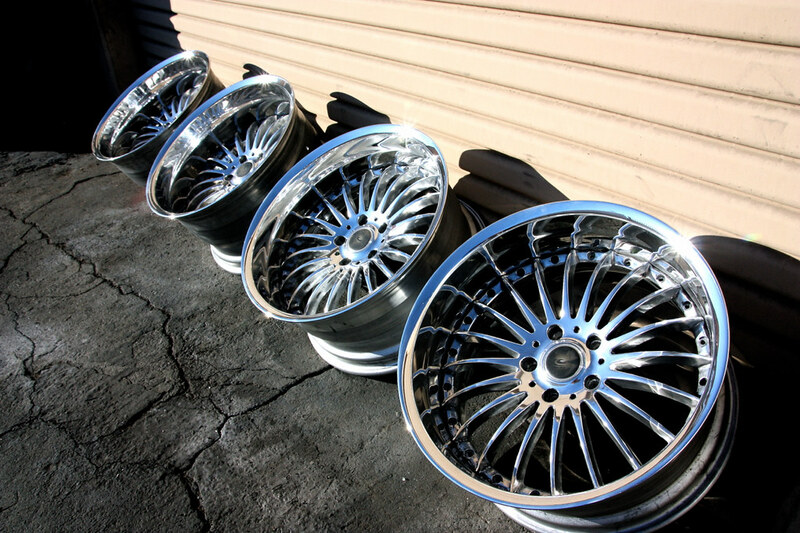 Please call or e-mail with the size and style you need so we can check our inventory. 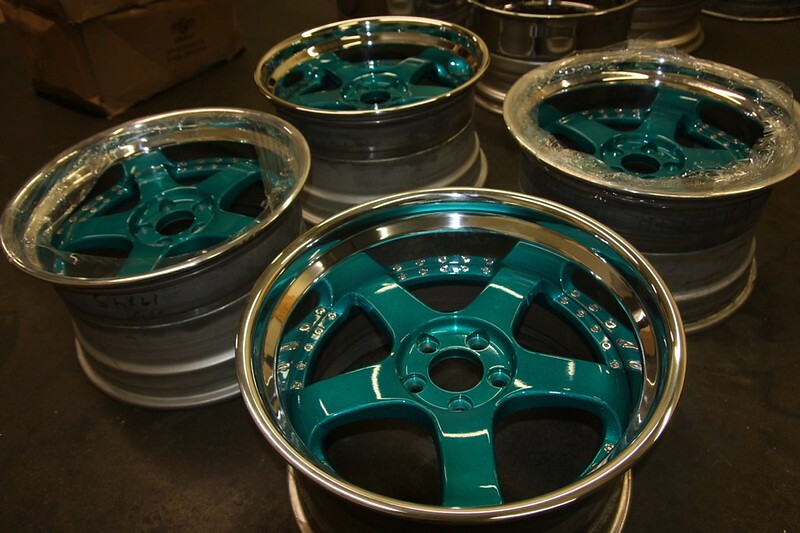 RAYS VERSUS BlackLabel BL-20-FX rebarreled to 18x10 -20, 18x9 -5 and fully polished. 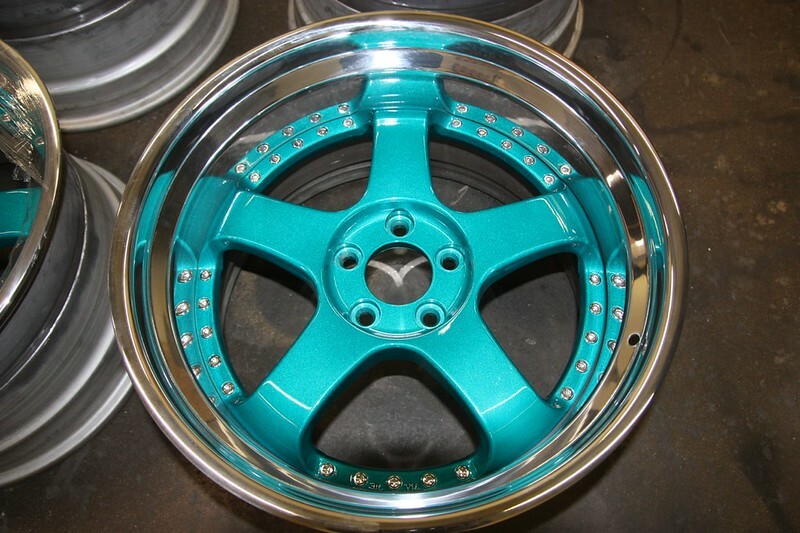 18x12 rebarreled with massive 7" polished lip. Faces are original and not refinished. 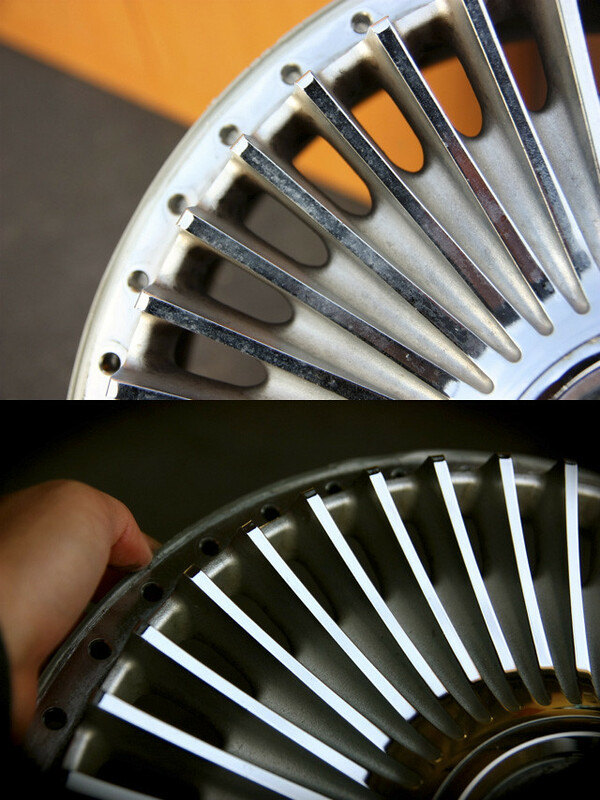 If your old chrome is starting to fade and show age, you can use #0000 steel wool to restore the shine! It's a bit labor intensive but it's a cheap way to extend the life of your chrome. We charge $20 per face for this service! 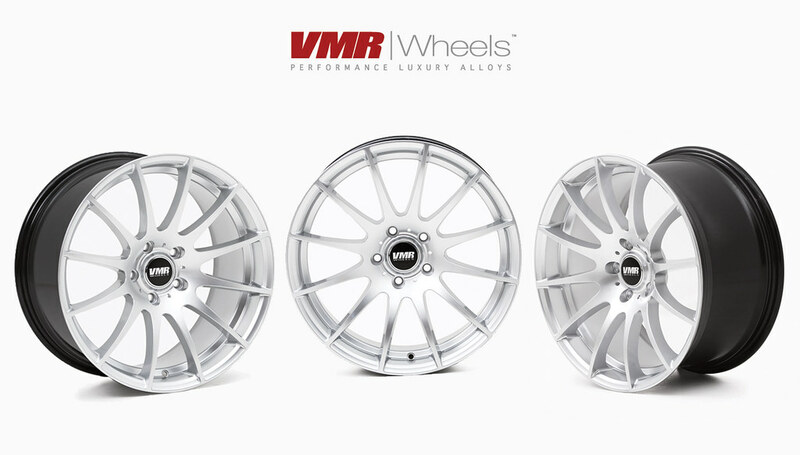 VMR Wheels V721 - New Release! 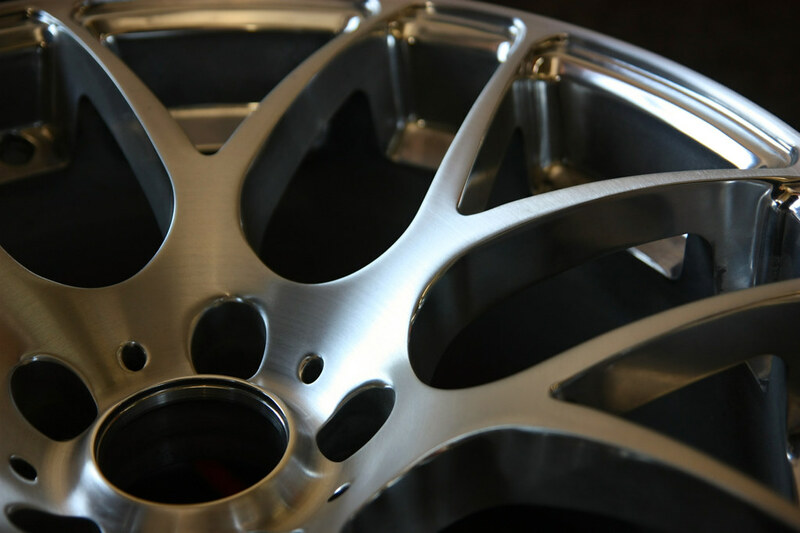 As always, if the wheels you want aren't available in the correct bolt pattern, we have the ability to redrill them (cleanly) and centerbore them to fit your car. 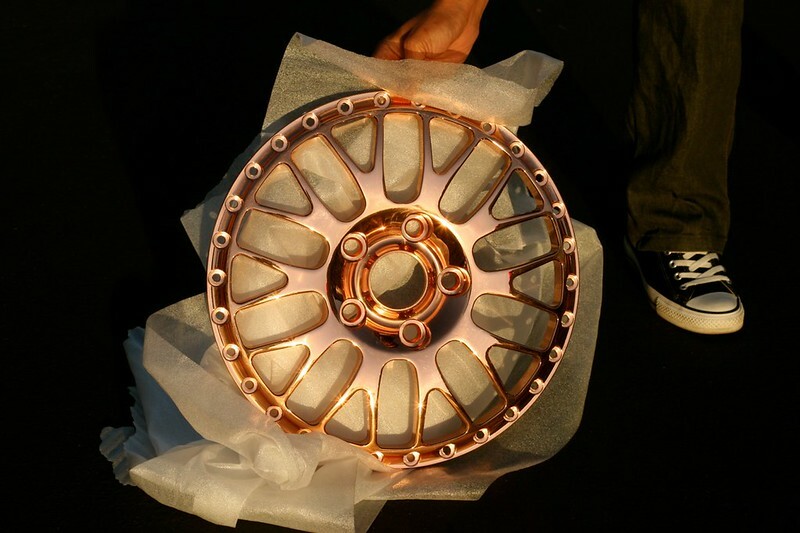 We can also shave off up to 4mm to raise the offset if you want slightly custom sizing. Please contact us and we can arrange that for you. 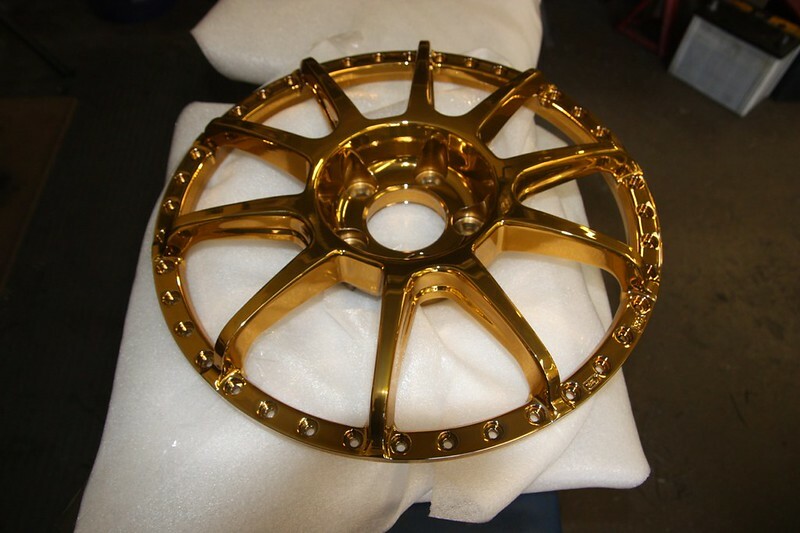 Custom finishes such as powdercoat, polishing, or plating are available. Contact us for more details. Pricing per set is $1100 CONTACT US! VMR doesn't allow us to post our price publicly because it's too low! 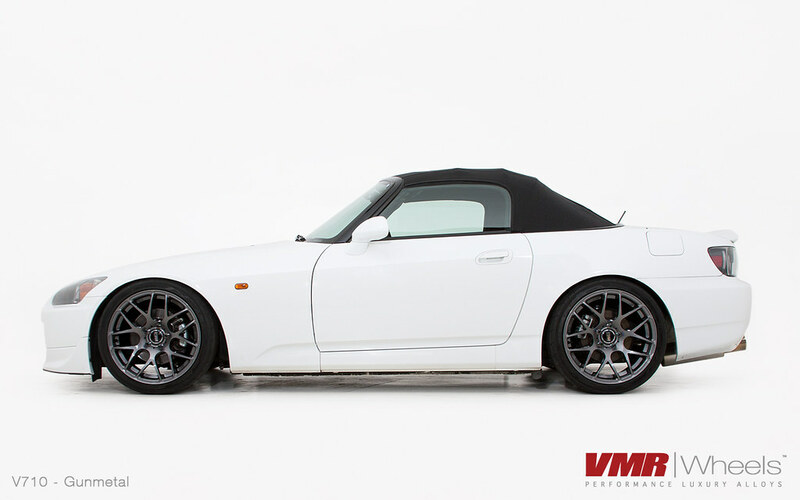 VMR V710 in 18x9.5 +50, 5x114.3 blowout sale! Hey everyone, we are having a blowout sale on our remaining stock. 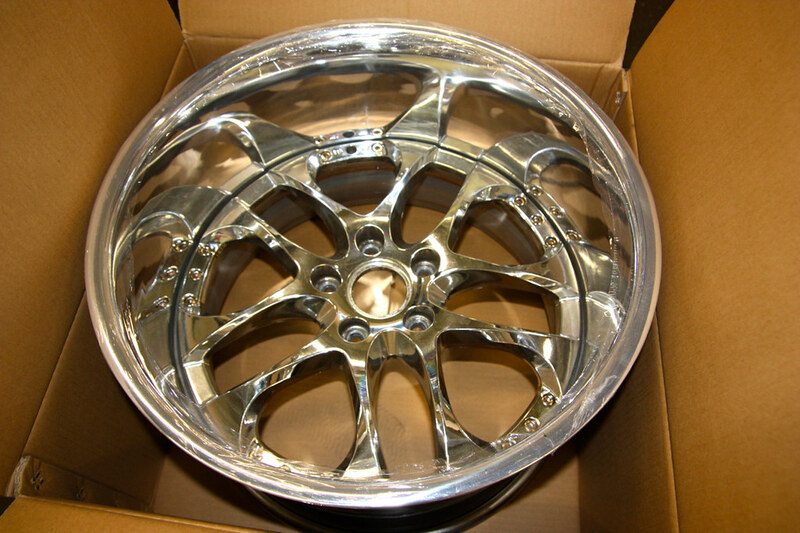 18x9.5 +50, inserted to 5x114.3 from 5x112. Call us today, if interested! 562-404-8900. It's been awhile since we've had time to update our blog. That fact still has not changed. We've been incredibly busy these past few months! Just wanted to drop by and leave a photo of our customer Vincent's 1999 Lexus LS400 on possibly the one and only set of step lipped SSR Agle Strusse, which we rebarreled. Slight machining of the face edge was necessary in order for this to work. Everything was mirror polished afterwards for a perfect shine! 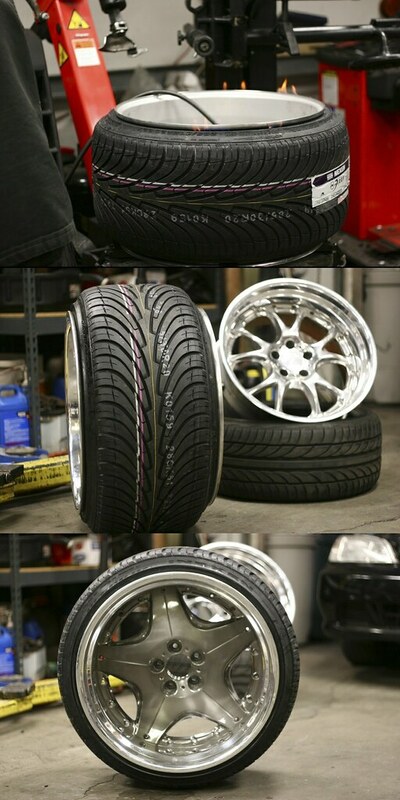 This car is now running 19x12 -6 rear and 19x11 +0 front with pulled fenders and radiused quarter panels. Beautiful photo by Clifford Sutrisno. 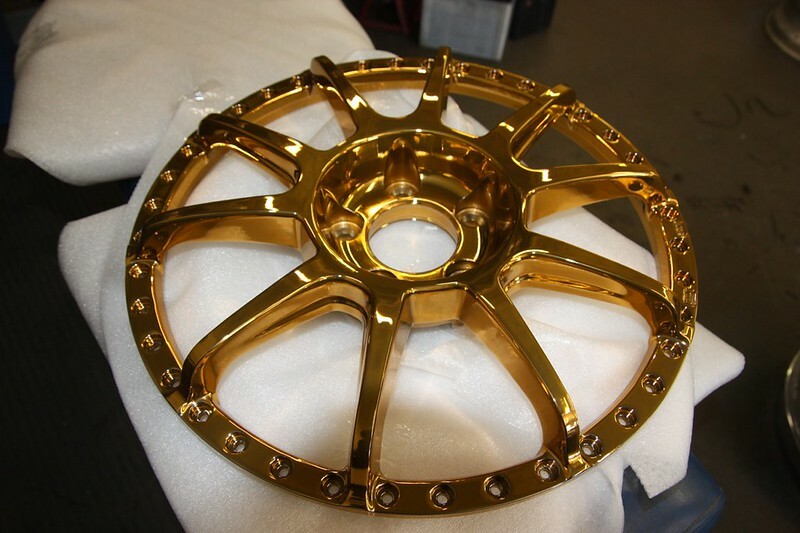 Auto Couture Supreme 20x13 -20 with a 285/30/20 for our customer's G35. 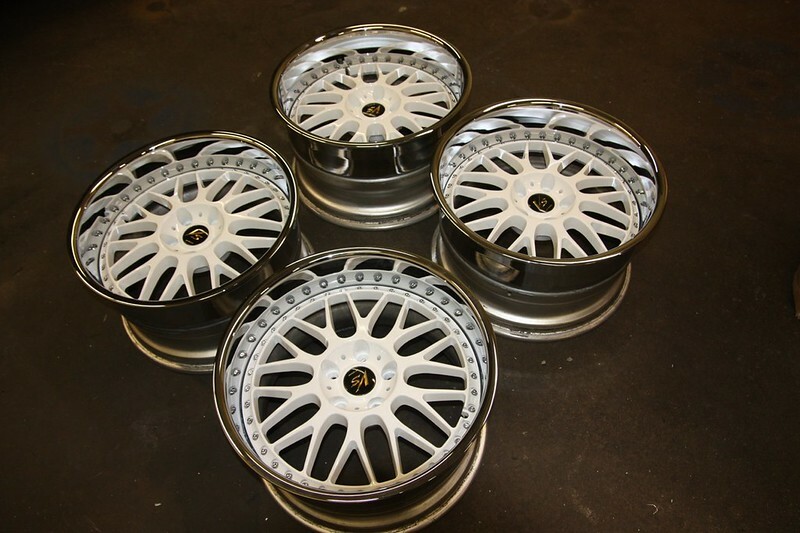 Contact us if you'd like to put your wheels on the steroid diet!